In the letter that President Rodrigo Roa Duterte sent to House of Representatives Speaker Pantaleon Alvarez, he asked for the immediate action on the bill for the benefit of the recipients of the Dengvaxia vaccine that former President Benigno Simeon “Noynoy” Aquino III’s administration spearheaded without regard for its possible side-effects. The vaccine despite being successful, allegedly caused the deaths of first-time dengue patients. Apparently a simple fact and multiple warnings from health experts, that Aquino missed lead to the endangerment and possible death of close to a million children. But fret no more, Duterte stepped in with foresight on the urgency of the matter, had the House of Representatives prioritize this over everything else. With a vote of 231-0, House Bill 7749 was approved, giving those hundreds of thousands of children a fighting chance against a life endangerment that neither their parents nor the irresponsible Aquino Administration were aware about. 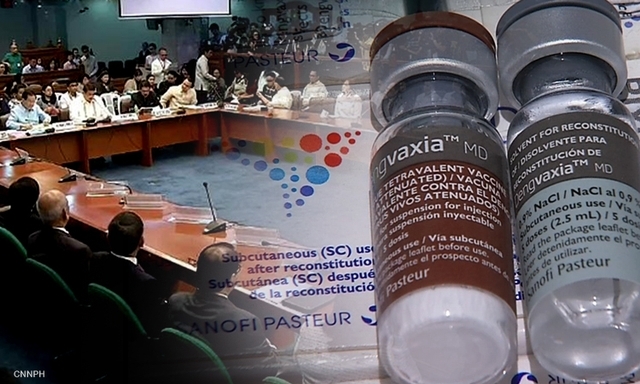 The said approved budget would come from the partial refund of the unused vials of Dengvaxia that was sent back to the French Pharmaceutical Sanofi Pasteur. With the urgency of the matter, the Department of Health had already proposed a way to budget the funding that will be given to them. With 81% going to the allocation of medical assistance program or health assitance fund of the victims. 13% going to the monitoring of the victims, cost of assessment, medicine and medical supplies. And the last 6% of the budget will be for the human resources of the health deployment. It doesnt matter whether the amount is fully spent on or after the current fiscal year ends, the important thing is that Duterte’s administration would save as many lives of such young innocent children as they could. Sadly Aquino doesn’t know how to take responsibility on the matter and would throw his former officials under the bus in order to save his self.